The SMA Centre, Wilton, was the location for a major recruitment drive by the Blood Bike South organisation recently. 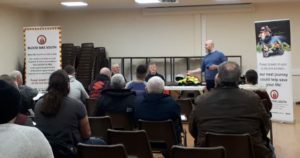 It was impressive to see so many hardy bikers, men and women, attend and listen to the requirements being asked of people who wish to offer their services to the organisation. 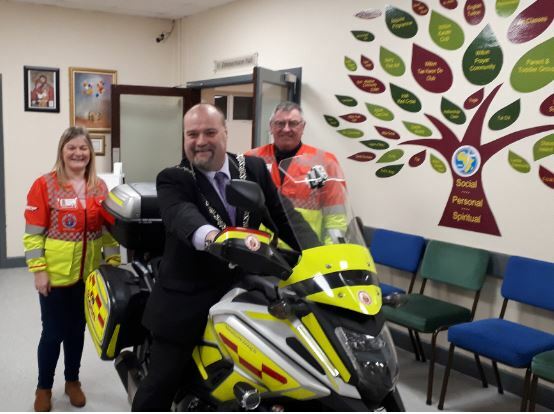 The Blood Bike group have recently received a car from Blackwater Motors which now means that not just bikers but anyone with driving experience can assist the group. 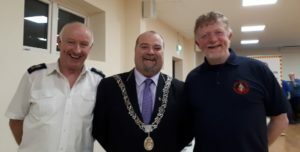 The S.M.A Centre got great exposure and its staff were acknowledged and thanked by the Lord Mayor and the Chairperson of Blood Bike for enabling this event to take place in our premises. Thirty new people signed up and it was heartening to see people ready to give of their time to this Charity. 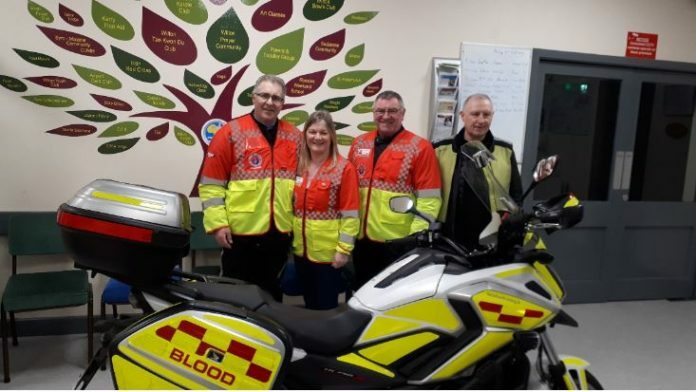 Blood Bike South is a charity run by a group of motorbike enthusiasts who provide an out-of-hours FREE service to hospitals and clinics in the south. In a manner similar to existing Blood Bike groups in Ireland & the UK they act as a Voluntary Riders Service aiming to help relieve sickness and protect health by the transportation of blood, blood products, patient records, drugs and other medical requirements between hospitals and blood transfusion banks, primarily but not exclusively in the Southern Region. They hope to take some of the pressure off our local hospitals in relation to their rising costs in transporting these goods and hope that the money saved will be redirected into primary care areas such as staffing & facilities. They also aim to relieve the use of emergency vehicles in the transport of these items as they are always available and ready to answer emergency calls.